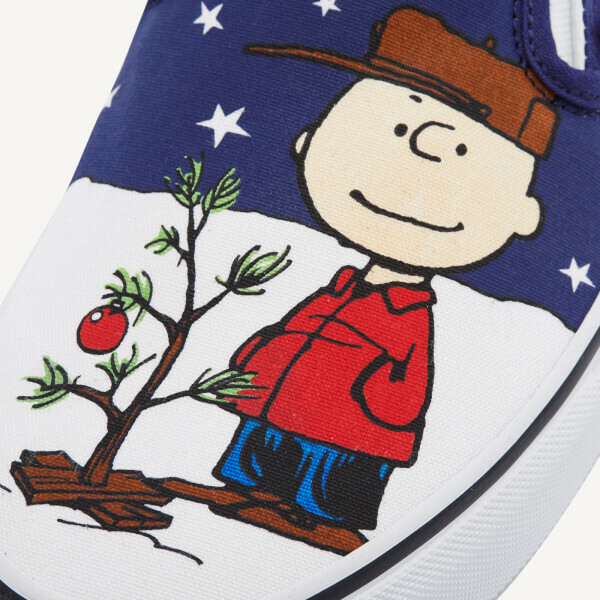 Classic slip-on trainers from the Vans X Peanuts collection. 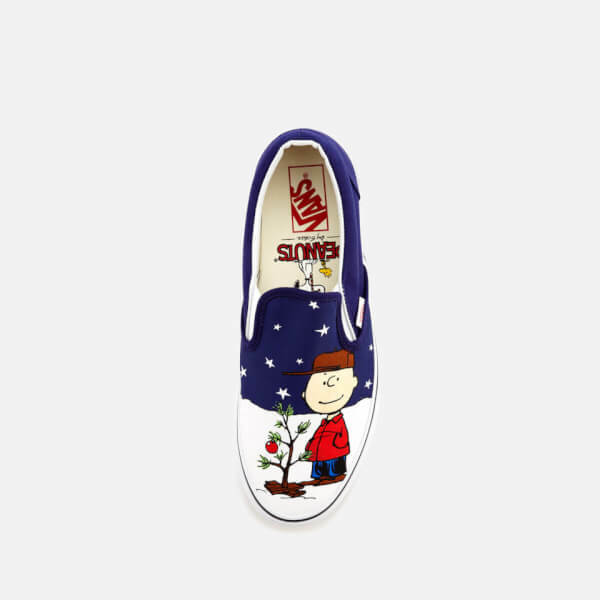 Crafted from canvas uppers with a Charlie Brown print, the sneakers feature a rounded toe, elasticated side gussets and a padded collar. 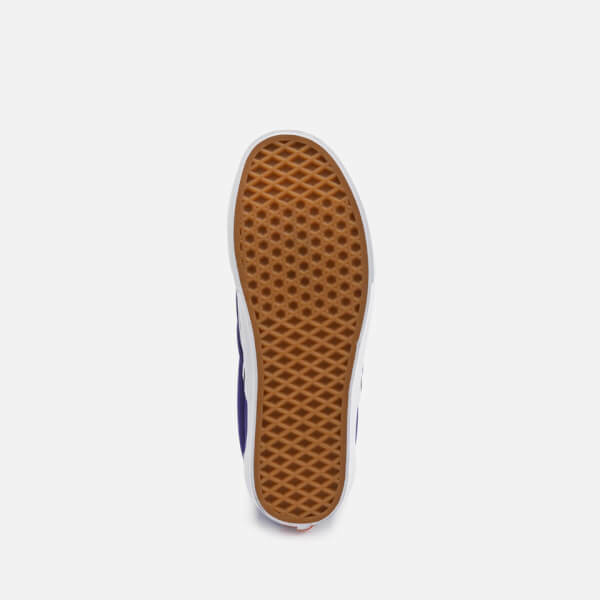 Set on a vulcanised rubber sole with the brand's signature waffle tread for added grip. 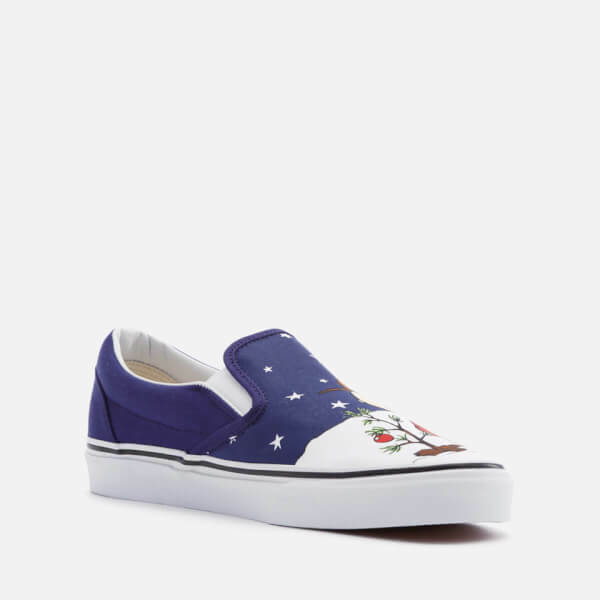 Complete with a woven tag and a Vans 'Off the Wall' licence plate on the heel.